Packaging Size: 20 Kg. / 50 Kg. 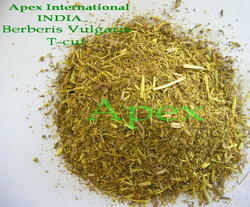 We are offering wide range of Berberis Root Dry. We are a well-renowned organization in the industry to provide our patrons the best quality array of Barberry Root Bark. A small evergreen shrub grows up to the height of 3 meters. The leaves are strong with fine whorled venation, straight, but with dentate margins. Inflorescence 5 to 8 cm long, with large yellow colored flowers. The fruits are bluish purple and small. We are offering supreme quality Berberis Aristata Root Standardized Herb to our valuable clients. These products are recognized for quality among our customers for their quality and excellent packing. Our offered products are reasonably priced and procured from age old reliable herb collectors and suppliers. From our wide consignment, we are affianced in supplying Barberry Root Bark. Use : decoration of roots is given in fever calculi, blood cancer, swellings. The Barberry Root widely used as bitter stomachache tonic. 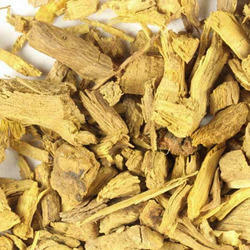 We offer Barberry Root of optimum quality that is sourced in from reliable merchants. Therefore, Barberry Root offered by us is used for making various formulations to treat dyspepsia and functional derangement of the liver. Properly cleaned, Barberry Roots are made available in sealed packaging that retains their quality.